Greetings, my name is Esther Stanford-Xosei. I am a reparations activist and PhD student in history at the University of Chichester. Fortunately, I was in receipt of a bursary from the University of Chichester between 2012 and 2015. 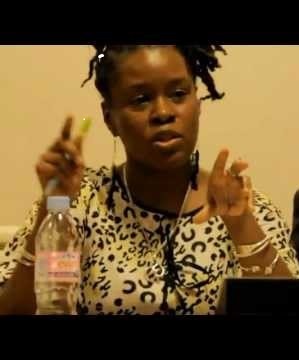 My research focuses on Afrikan and Diaspora contributions from London between 1989 to 2014 in charting the historical trajectory of the International Social Movement for Afrikan Reparations (ISMAR). I will be posting on anything that relates to reparations thought, advocacy or activism in academia. I also write about other aspects of doing a doctorate. Please check back regularly as this blog is constantly being added to and updated. Feel free to also make comments. Statements, perspectives, views and opinions expressed in this blog are my own and not those of the University of Chichester.